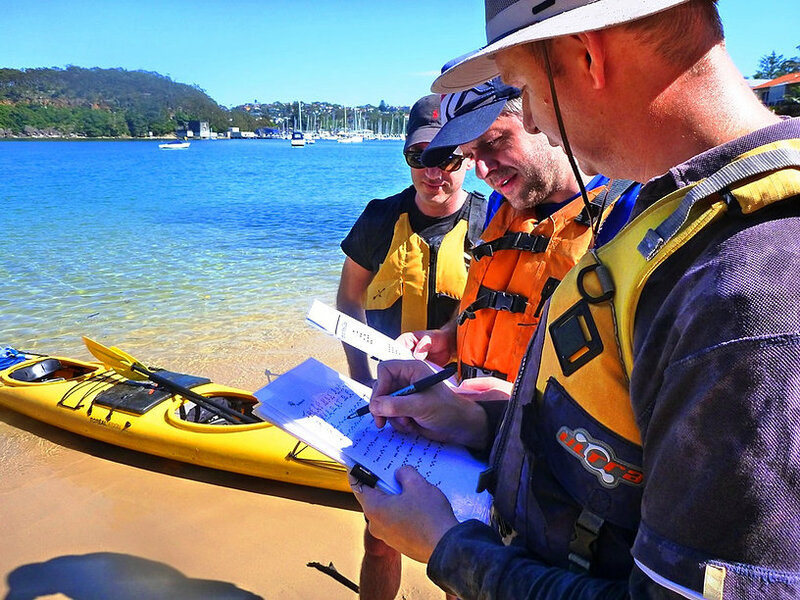 The Sydney Harbour Kayaks experience is more than just about going on a tour, buying, learning to paddle or renting a kayak. Our team is passionate about kayaking, passionate about surf ski, passionate about stand-up paddle boarding, passionate about being out on the water. We are living our dream, to take time, and enjoy life. Taking a Kayaking Tour with Sydney Harbour Kayaks gives you the chance to you see sights only visible from the water. Journey across harbour waters and protected coves with friends and fellow paddlers, while your guide shares stories about the area's natural features and intriguing history. 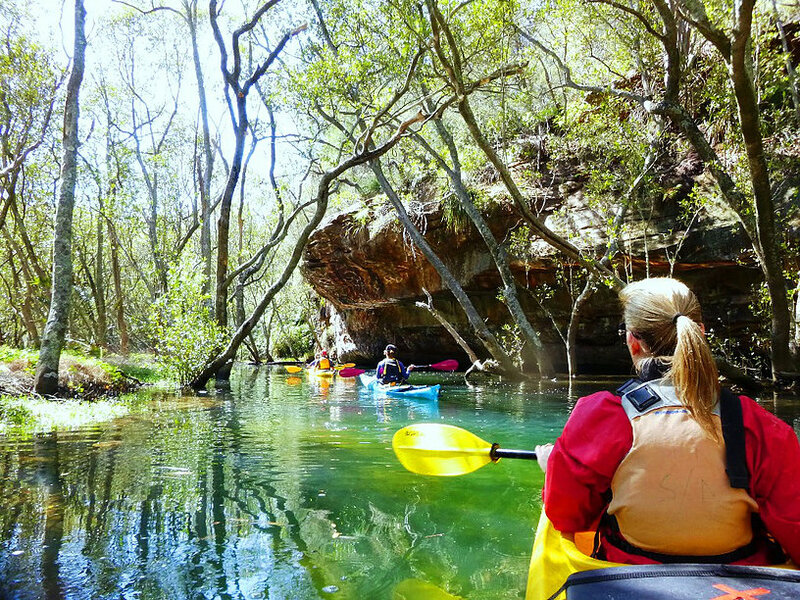 Journey deep into the Garigal National Park on the Middle Harbour Eco Tour. Follow the Mosman and Seaforth shorelines past waterfront suburban areas, then break through into the remote bushland of Sugarloaf Bay and Bantry Bay. Follow the paddle strokes of the first paddlers in the area, the Gameragal people, and hear their story from your friendly guide. Learn about the ecology of the area and keep an eye out for wildlife as you coast along the harbour waters beside forested shorelines. Go ashore for a picnic-style morning tea on one of our favourite sandy beaches, then cast off again with extra energy for your paddle back to Spit Bridge. 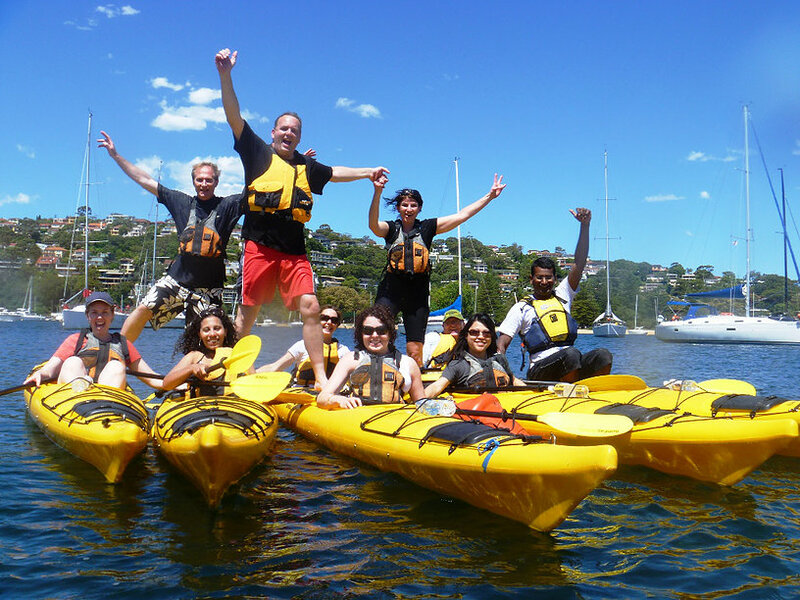 The Sydney Harbour Kayaks Team Building program consists of three specifically designed activities that aim to bring out the best in your team, group or employees. These activities were designed to focus on motivation, leadership, communication and collaboration. They are all unique, a lot of fun and are proven to gain positive results. If there are no standard tours to you liking, then please know that we are experts in designing fully customised tours around Sydney's entire Harbour for your group of friends or colleagues. 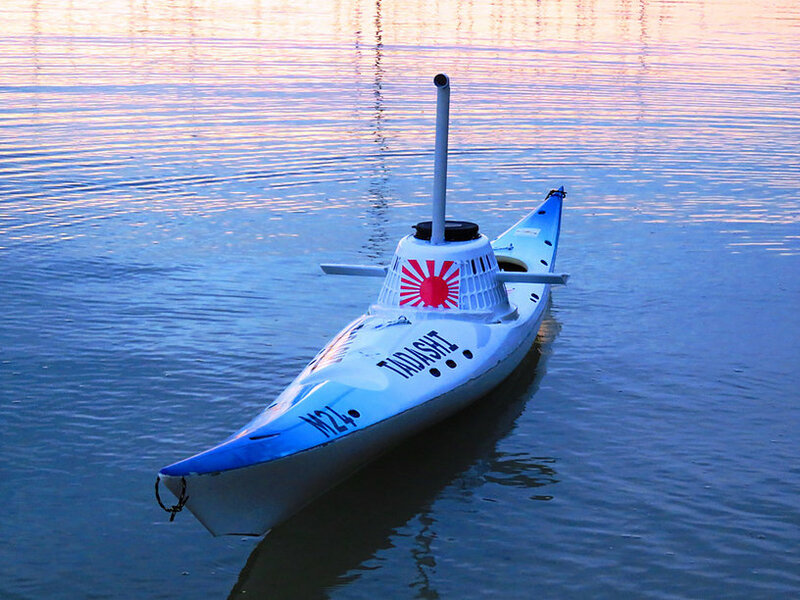 A kayaking adventure and team-building scenario, the Search for the Tadashi challenges you and your colleagues to find a missing WWII Japanese submarine, located somewhere in Middle Harbour. Ideal as an offsite corporate activity, the Search for the Tadashi combines adventure, hidden clues, secret codes and mystery with a real historical situation. A fun and unique team-building exercise focusing on motivation, leadership, communication and collaboration, the Pelican Air is a search and rescue challenge. A light aircraft crashes shortly after take off from Sydney Airport. Suspicion arises that the aircraft was carrying contraband, and search and recovery teams are immediately dispatched. An air search that night failed, spotted wreckage and dropped a marker beacon. Now it’s your turn. Sydney Harbour Kayaks Photo Challenge Coffee Tour where you will not only experience Sydney Harbour in a completely different way - via sea kayaks, but also be able to document your journey using waterproof cameras. The Photo Challenge is a wonderful team-building activity, that encourages you to express yourselves, your teams, your brands in a fun and creative spirit. 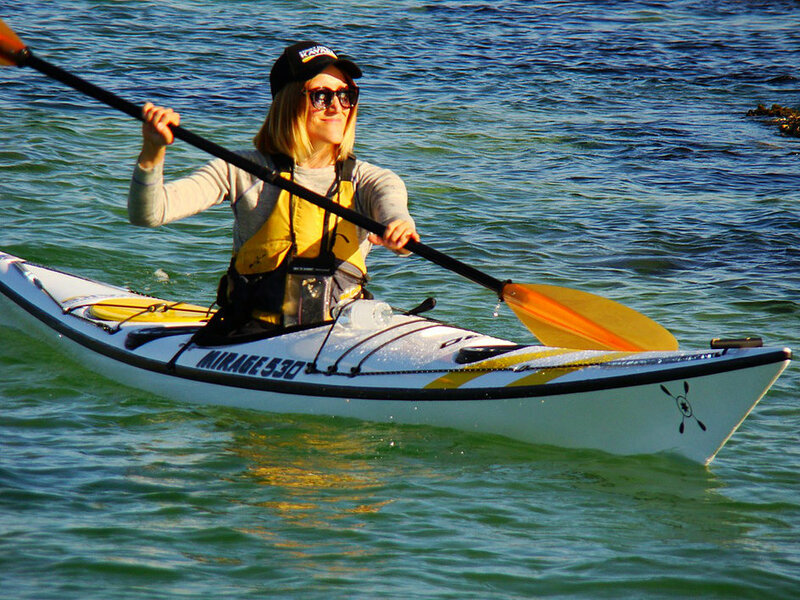 Sydney Harbour Kayaks has Australia's largest range of quality single and double kayaks, surf skis and stand up paddle boards (SUP). With our Freedom Rentals program, you can rent 'off the beach', in hour intervals up until all day or with 'take-away' rental you can take your kayak or surf ski to a race or on your holidays. To capture all your memories, we even rent waterproof digital cameras. The Sydney Harbour Kayaks rental fleet consists of standard and deluxe kayaks, surf skis and stand-up paddle boards (SUP)We pride ourselves on offering only the highest quality craft we can source. We have kayaks and surf skis in Plastic, Fibreglass, Kevlar & 100% Carbon Fibre, from top brands such as Mirage Sea Kayaks, Boreal Design, and FENN Surf Skis. Our Stand Up Paddle Boards are supplied by RED Paddle Co. 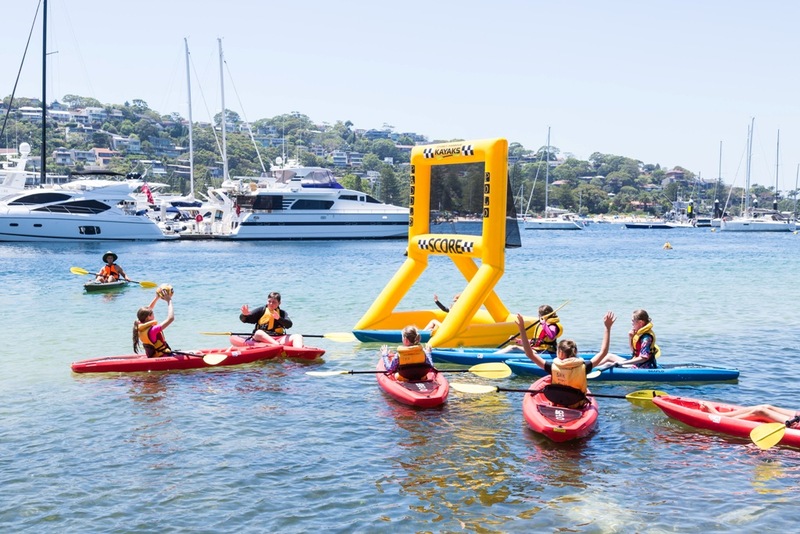 The Sydney Harbour Kayaks' 'Learn To Kayak' Program is located on the beautiful Middle Harbour in Sydney Harbour and our classroom can be located within the calm waters around the Spit Bridge or more challenging areas off Grotto Point or even off shore. We teach lessons in sea kayaking and surf skis. Please use the links below to access information on our 'Learn to Kayak' Program. 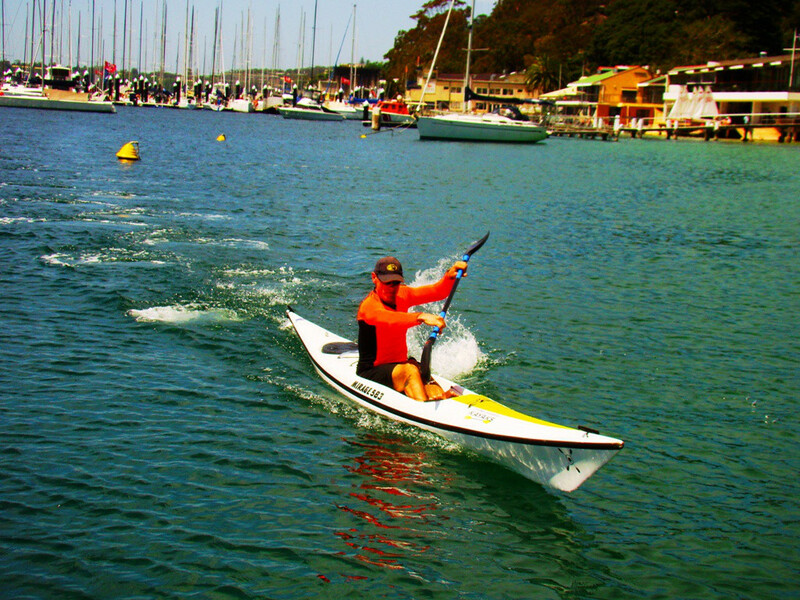 Sydney Harbour Kayaks, employs some of the highest qualified kayaking and stand up paddle boarding instructors from around the world. We take great pride in making sure you have a wonderful and informative paddling experience. Safety, detail and customer satisfaction are of the highest concern for us. Making sure you get the most out of our kayaking lessons is of the highest priority for us. Many are from Australia, however we feel it is important to also work with specialists from all around the world. We offer many different types of lessons, either on kayaks, freeride kayaks, or the super fast ocean racers. You can either learn in a group format or have one on one tuition within a private lesson. We have the right instructors to take you from your first paddle stroke through to an elite level of paddling. School Activities - one off events or weekly sports programs. Corporate team-building or out of office activities.